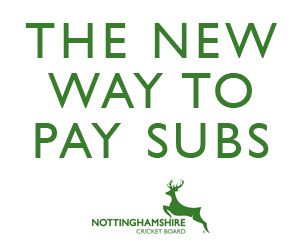 The Nottinghamshire Cricket Board and its coaches look after numerous county age group squads ranging from U10 development to U17s for boys and U12s development to U17s for girls, with over 100 young cricketers involved in the system. The juniors go from playing the game for the fun of it, like on the outfield at Trent Bridge above, to seriously thinking about a career in cricket and that is where the young player pathway comes in to its own. Having a wide range of coaches, the NCB is able to help each junior fulfil their goals in the game, whether they are to play the game with their friends for the enjoyment to trying to break in to the professional squads some time down the line. 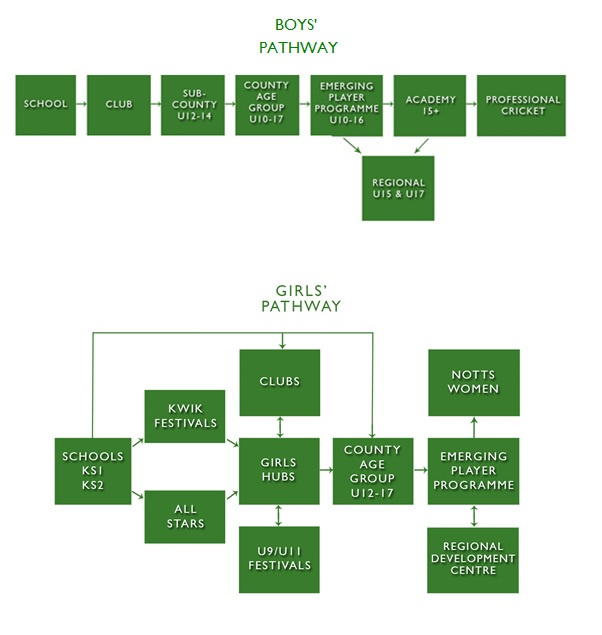 The mantra of the coaching unit for the Nottinghamshire pathway is that 'Every Player Reaches Their Full Potential' and all the coaches strive to do that throughout the set up, with the work with players from all different clubs showcasing this.